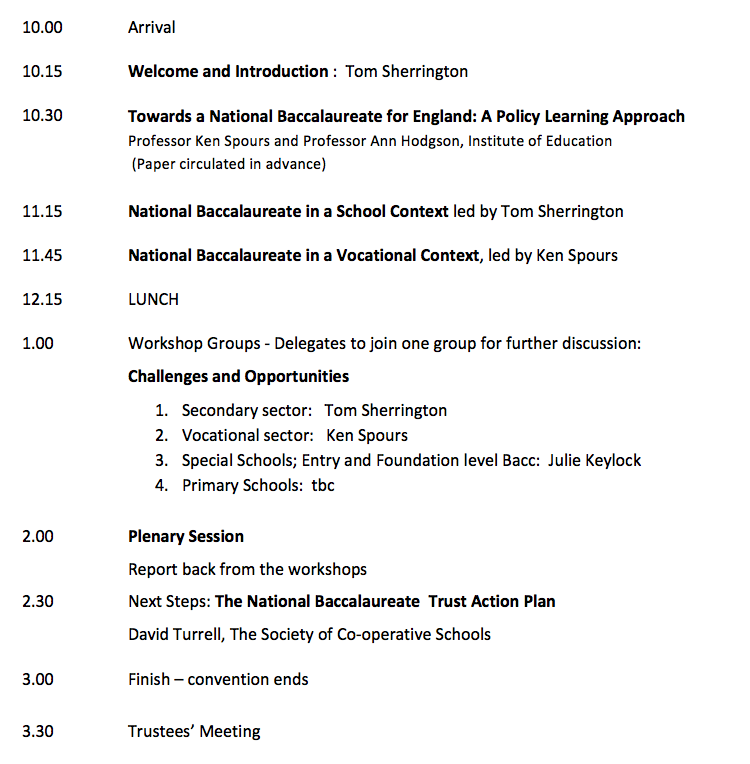 Next week we are hosting an event that will see the launch of the National Baccalaureate Trust. 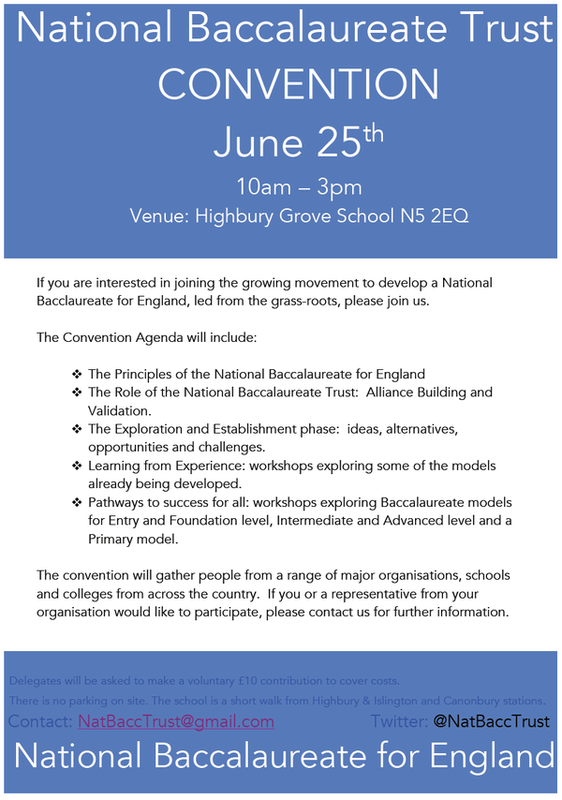 The National Baccalaureate for England is on its way. We’ve come a long way. The early steps are recorded in this post. This is the agenda: Here is the paper from Profs Ken Spours and Ann Hodgson. This sets the scene – we’re learning from the past to shape the future. It’s an important document. Click image to download the paper. These are the people coming – with room for more. We’ve got representatives from lots of key organisations, schools and colleges. Really exciting. Click to see who is coming. 1) Different coloured elements coming together to form a whole that is greater than the sum of its parts. This applies to the Bacc itself and to the NBT as an organisation. 2) The crescents originate from the laurel wreath – the symbol of achievement. 3) It is also designed to look dynamic – this is a movement; the Bacc is exciting; we are on the move. We’ll have a proper discussion about this in due course but I love this as a starting point. Many thanks Thom. « Ebacc for All. Shackles on or off?